Could you get cheaper energy for your home!?! How about add value to your property without paying out of pocket? Of course there's always a catch... Is it worth it for you? Thanks so much to our friend and local solar expert Steven Waller of Solar City for expounding upon the Pro's and Con's of going solar and to Big Valley Mortgage's expertise on explaining the intricate details of purchasing a home when there are loans and liens involved! 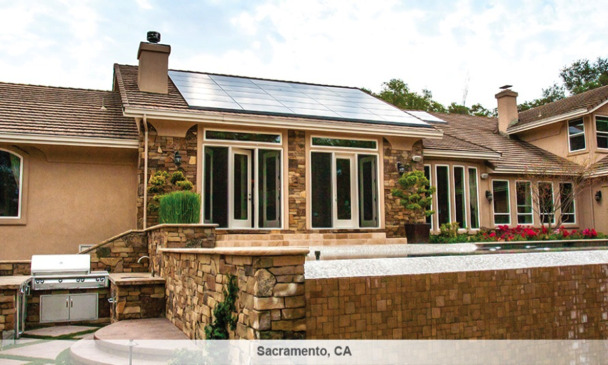 The Earth: Obviously you'd be celebrating Mother Earth in style this year if you went solar. Not only is solar energy sustainable , but it's renewable and about as natural a source of power as is possible to create. As Stephen Waller, Field energy Consultant at Solar City shared with us, his kids view him as "somewhat of a super-hero that's saving the planet one home at a time. Even though what I do might only be making a small difference on a global scale, it's beyond gratifying." You too can save the planet! If doing your part is possible and beneficial, you should! Tax Rebates: Solar tax credits were enacted in 2008 as part of the Emergency Economic Stabilization Act, which included $18 billion in incentives for clean and renewable energy technologies as well as for energy efficient improvements. These federal tax credits are available until December 31st 2016. After that date the residential credit will drop to zero. Without the investment tax credit solar panel systems will cost more, so look into it now if it's something you've considered. Lease Deals & 0 upfront: Solar City offers a free installation deal that you may qualify for so you don't have to empty your savings account to get started. Energy Independence: Some systems are connected to the grid while others are independent. Either way city utility costs tend to rise a little every year, but with solar energy rates stay the same for a longer term. Of course it differs with every private company but overall you should be paying less for your energy. Plus the solar panels require little maintenance and are completely silent! Add value to your property: If you can pass along the savings to the next owner of your home, you'd better believe they are going to thank you for it! If the solar system is wholly owned and permanently affixed to the property an appraiser can include that in the value of the home and/or a listing agent can include it into the list price. Pay-off Horizon: How long do you plan on living in/owning the home? If you put solar panel on consider if you will be there long enough to reap the benefits of the reduced energy bill. Will you be there long enough to pay the system off? Tell your solar consultant whether this is your forever home or if 2-6 years, or 5 or 10 years sounds like your most probable scenario. Selling a home with solar: If you don't buy the system outright Solar City or whatever company you work with would be a 3rd party owner of the system. Then, if you sell you will have to enter into a Transfer Assumption Process. That could be no huge problem but have your real estate agent get a Preliminary Title Report before your home hits the market to clarify any liens pertaining to the system and make sure you keep ALL documentation for the solar system. Appraisers will need it and the future buyers of your home will need it. (Agents feel free to put solar info in the MLS confidential agent remarks.) Lastly, if you don't buy the system outright but instead use a PACE or HERO loan to finance the system, that must definitely be paid off out of the proceeds of the sale so keep that in mind as a debt still to pay! Buying a home with solar: Fannie Mae lending guidelines say utilities must be connected to the grid. You may have problems getting a traditional mortgage loan to buy that amazing eco-friendly lodge if it's not connected. If that's not an issue, then check if it is a leased system. You can definitely assume the debt or power purchase agreement but it will change your debt to income ratio which may affect what kind of loan you qualify for. Cost: A good solar energy system can be expensive if you purchase with cash. They can cost between $20-75k when you include permits, inspections, labor and materials and it varies depending on the number of panels necessary for your energy needs/size of your home. Still, there are lots of tax credits and rebate incentives to go solar, plus lease options or power purchases, which when applied carefully can cut the cost of solar systems in half or more! Light Access: For optimal exposure to sunshine, the peak of your roof should run east-west so solar panels get sun in the morning as well as afternoon. If your roof runs north to south I would consult a solar pro on how much is will affect your situation. Also, if you've got beautiful large trees, that's great and soooo eco, but they may shade the panels and cut into their effectiveness. Even haze and pollution can reduce the amount of light your solar system can convert into energy so the cleanest sunniest rays make for the best investment. CA CSLB 888104, MA HIC 168572/EL-1136MR. Click here to view our complete list of license numbers by state.